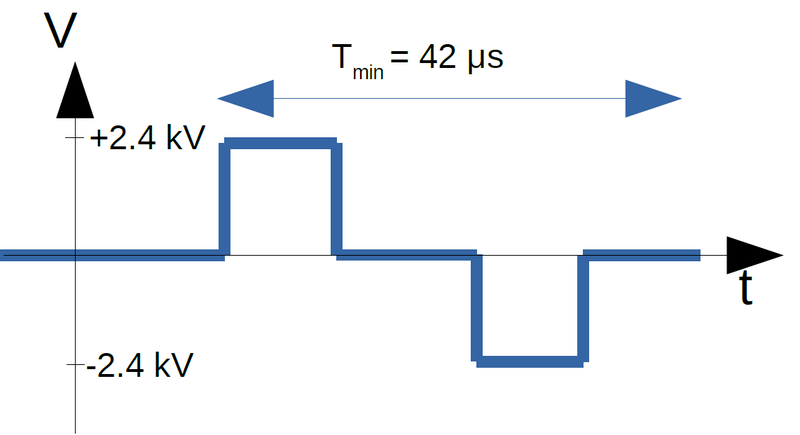 Rising edge measured on an 80 pF capacitive sample at the end of a 1.5 m 50 Ω coaxial cable. Horizontal scale: 100 ns/div. Vertical scale: 500V/div.